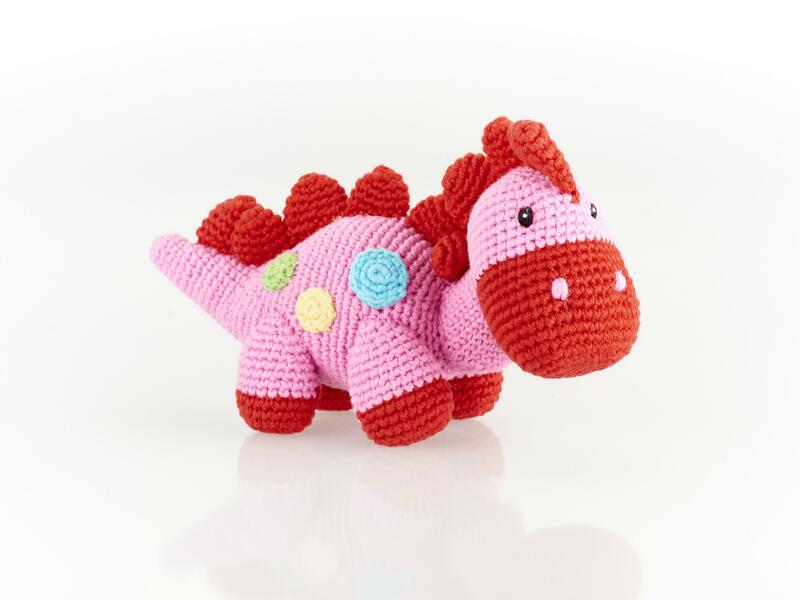 Handmade by the fair trade organisation Pebble, this sweet pink crochet dinosaur rattle is sure to be a big hit with your baby. Handmade from cotton yarn, the colours are bright, appealing and stimulating for your baby. If you are looking for dinosaur baby gift ideas look no further.